Omaha's convention center and arena, CHI Health Center Omaha is more than your average convention center; it’s 346,000 square feet of possibilities. A place where Olympic records are shattered, world-renowned capitalists convene and magnificent beasts jump to new heights. Billionaire Warren Buffett could hold his annual Berkshire Hathaway shareholders meeting anywhere, he chooses Omaha. More than 30,000 attendees from all over the world make the trek every May to experience what’s been called “Woodstock for Capitalists” at CHI Health Center Omaha. Inside this hybrid facility’s attached 18,300-seat arena, Buffett and friends pack the place for hours of financial banter. One day Omaha&apos;s convention center and arena is hosting Buffett, the next it’s magically transformed into a world-class 50 meter, 10-lane Olympic swimming facility. Omaha’s trademark hospitality, enthusiasm, and energy inspired the U.S. Olympic Swim Trials to return three times, and it will be back for a fourth time in 2020. That success, years in the making, made Omaha a fresh option for other high-profile events, such as the National Veterans Wheelchair Games, NCAA Basketball Championships, the U.S. Figure Skating Championships and the FEI World Cup Horse Jumping Championships. The FEI has been in France, Switzerland, Germany and Las Vegas, Omaha is the only other U.S. city to host it. Organizers say the facilities at CHI Health Center Omaha rival any they’ve seen. CHI Health Center Omaha offers attendees room to roam – inside and out. 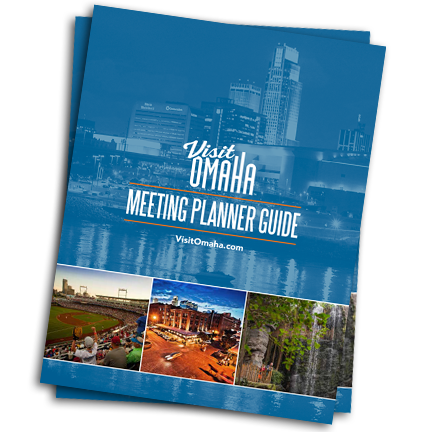 Conveniently located near Omaha’s award-winning airport, CHI Health Center Omaha is close to the riverfront, more than 3,000 downtown hotel rooms and the Old Market Entertainment District. The convenience continues with a glass-enclosed skywalk connecting CHI Health Center Omaha to the 600-room Hilton Omaha. Directly across the street is a 333-room, full-service Marriott hotel. Combine CHI Health Center Omaha’s accessibility, versatility, and flexibility with its creative and experienced staff, and the possibilities are endless.